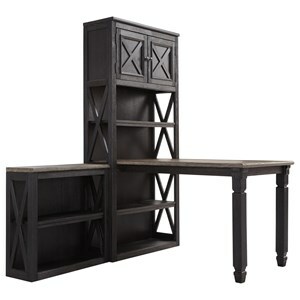 This desk return and bookcase combination is the perfect space-saving alternative for your living space. 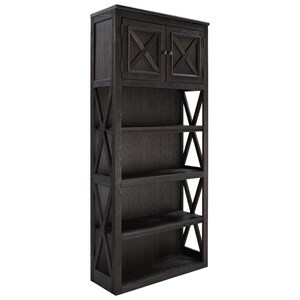 Convert any room into an office instantly by attaching the desk return to the bookshelf. 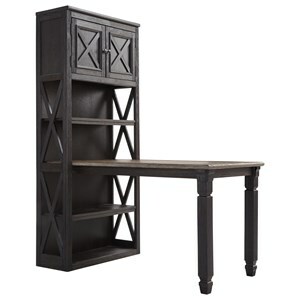 Having an office desk without sacrificing storage space has never been so easy. 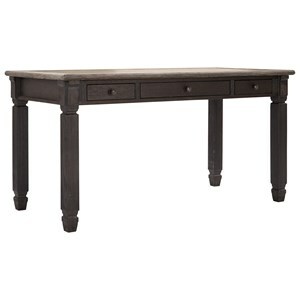 The Tyler Creek Return Desk with Small Bookcase by Signature Design by Ashley at VanDrie Home Furnishings in the Cadillac, Traverse City, Big Rapids, Houghton Lake and Northern Michigan area. Product availability may vary. Contact us for the most current availability on this product. 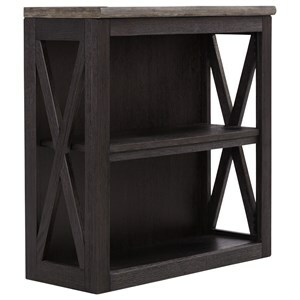 H736-16 Medium Bookcase 1 30" 12" 29"
H736-14 Bookcase Desk Return 1 56" 30" 31"
The Tyler Creek collection is a great option if you are looking for Casual Cottage furniture in the Cadillac, Traverse City, Big Rapids, Houghton Lake and Northern Michigan area.